So having a baby really takes away your free time, doesn’t it? 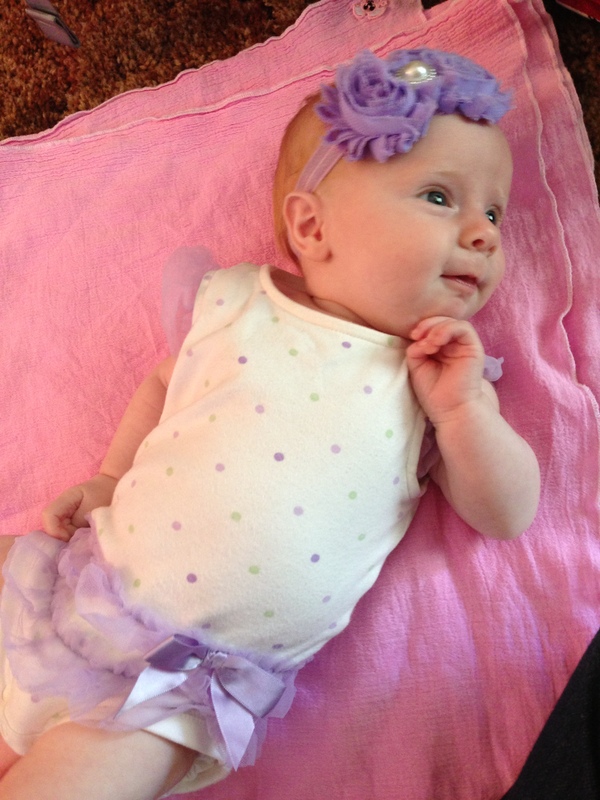 Roz is nearly 3 months old, and my writing output has been… sad. Very sad. In addition to teaching dance and Pilates approximately 30 hours a week, there’s just too many diapers to change. Too much spit-up to clean up. Too many sleepless nights. Too many moments that she’s smiling at me and I Must. Take. Picture. I’d planned on having my novel ready for WorldCon, but – well, HA! That didn’t happen, and I have to be okay with that. But really, who couldn’t be okay spending all day with someone like this? I’m just going to go and enjoy my time. I met tons of awesome people last year, and I think this year’s going to be just as great. And, you know, if someone’s interested in a partially finished middle-grade underwater fantasy with mermaids, dragons, witches, and narwhal horns, well, they can come talk to me. in other news, I made a sale to Fireside! (Like, over a month ago. My friends on Facebook heard about it, so there’s that. But we’ve already gone over the baby thing.) I’m very pleased to have a story with this magazine. Brian White, the editor, is great to work with and there are tons of fantastic writers also appearing this year in Fireside. My issue isn’t coming out until March 2014, but I’m okay to wait. There’s always more writing to do and other stories to sell. As a final note, I’m starting a wellness feature on my blog because I absolutely LOVE Pilates and what it’s done for me and my students, and I think everyone can benefit from Pilates, especially with all the time we spend reading on our computers, tablets, and smartphones. I’ll be talking about posture, the proper way to engage muscles and hold positions, and short, sweet ways to strengthen your body as well as different relaxation techniques. ALL FOR THE PRICE OF ZERO DOLLARS. Because this is a blog, and you get it for free. Unless you wanted to pay me. I’m sure one of these days I’ll link Paypal to this blog or something. Well, that’s it. I’ve got writing to do while Roz sleeps. If you see me at WorldCon, come say hello! It’s highly likely you’ll see Roz wearing a steampunk hat or something else equally precious.